The Money Quest: How to Convert Flat Interest Rate to Reducing Balance Rate? How to Convert Flat Interest Rate to Reducing Balance Rate? At the time of publication of 4-in-1 Loan Calculator (to calculate EMI, interest rate, loan period or Loan Affordability), I promised to design an interest rate converter to help you convert flat rate of interest to monthly reducing balance rate and vice-versa. Before you start using this calculator, let me clarify you some basic features including relationship between a flat rate of interest and a reducing balance interest rate. What’s the Difference between a Flat Rate of Interest & a Reducing Balance Rate? Flat rate of interest is the simple rate of interest calculated on the entire loan amount without considering the amount of loan repaid by you. On the other hand, reducing balance rate of interest (even this is not the effective rate) calculates the interest for each period based on the actual outstanding amount of loan. Why Flat Rate of Interest is considered as Misleading? In other words, what’s wrong with quoting flat rate of interest? Flat rate is misleading because it’s not the actual rate of interest you pay. It will reflect the true picture only if you repay the entire loan at the end of the period rather than making monthly repayments. What’s the Connection between Flat Rate of Interest and Reducing Balance Rate? The rule of thumb is that monthly reducing balance rate is almost twice the flat rate but it is incorrect. In fact, there can be wide variation based on the period of loan and rate of interest. For example a flat rate of interest of 10% for a 3-yr loan period is equivalent to 17.92% reducing balance rate (i.e. around two times minus two percent). Now, if we increase the loan tenure from 3 years to 10 years, then 10% flat rate of interest converts to 15.86% monthly reducing balance rate (i.e., approximately double the flat rate less 4%). What’s the Use of this Interest Rate Converter? What’s the need for this calculator? Sometimes, a lender deliberately quotes flat rate of interest instead of reducing balance rate to misguide you. In such a case, you should not get carried away with it (as it is always a tempting offer) and apply for a loan based on it. Instead, you must first convert it into reducing balance rate to get a fair idea of the actual cost of the loan. Let me give you an example, if you borrow Rs 1 lakh for 3 years at a flat interest rate of 10%, the total interest would be Rs 30,000 (Rs 100000*10%*3) and EMI Rs 3611 (Rs 130000 / 36). Now insert this EMI in Loan Interest Rate calculator (indirect method of converting flat rate into reducing balance rate) and calculate the reducing balance rate of interest. It works out to be 17.92%. What if you’re in doubt and want to make sure that the rate of interest is in fact reducing balance rate? Always ask for EMI in addition to the rate of interest and cross-check it by using the Loan EMI Calculator. If the two doesn’t match, then most probably interest rate is the flat rate which can be verified by using this interest rate converter. Finally, let me tell you one more trick. This interest rate conversion calculator can also help you calculate the EMI. How? Just convert your monthly reducing balance rate into flat rate of interest by using this calculator. And once you know the flat rate, the EMI calculation becomes a cake walk as shown in the above example. I hope from now onwards you won’t let the banks and their DSAs (Direct Sales Agents) deceive you anymore. As per PVIFA, EMI comes as Rs.3226.72 and bank also calculates EMI based on the Time value of money so why we are considering Reducing rate of interest instead of Effective rate of interest. Dhavan: What are you trying to say? Very nice writeup...In fact it helped me ...thanx.. Thank you. Extremely useful for the common man. And sometimes the Bankers themselves. Thanks. got quick reply to my confusion. 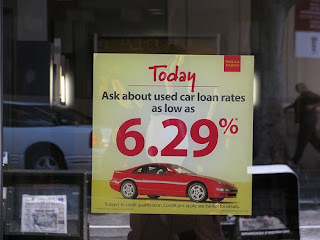 as banks never convert their flat rate into reducing balance interest rate. Nice calculator and very useful explanations. Thanks a lot..
Nice calculator and very useful.Thanks a lot..